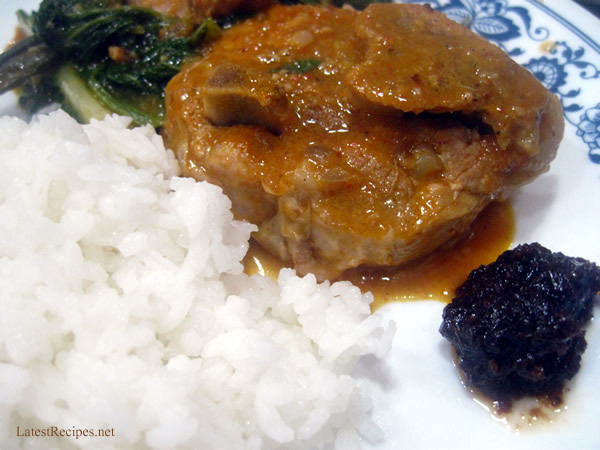 I’m so happy, I can make kare-kare now! Yay! 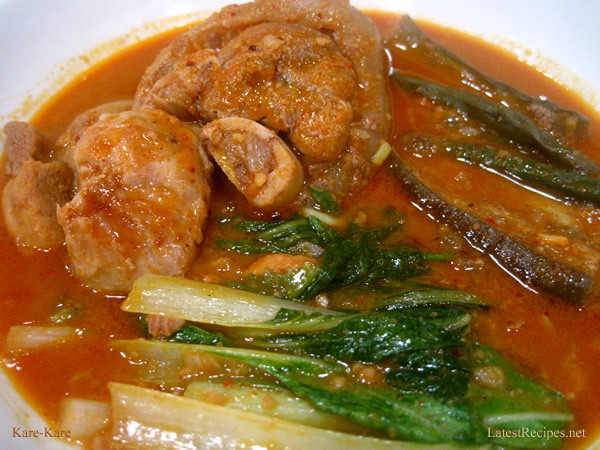 🙂 Kare-kare is an ox tail stew with peanut butter to add richness and flavor to the sauce. It’s a popular Filipino specialty dish from Pampanga, you see this in menus of Filipino restaurants served in a clay pot (palayok) …it so delicious! A lot of moms and home cooks take pride in their kare-kare which is not a simple dish to make for some people (me, for one)..
..and I guess my mom, too. I don’t remember her ever cooking this dish for us, maybe because we don’t like beef much less the tail part which is the main ingredient of kare-kare or it could be the peanut butter in it. 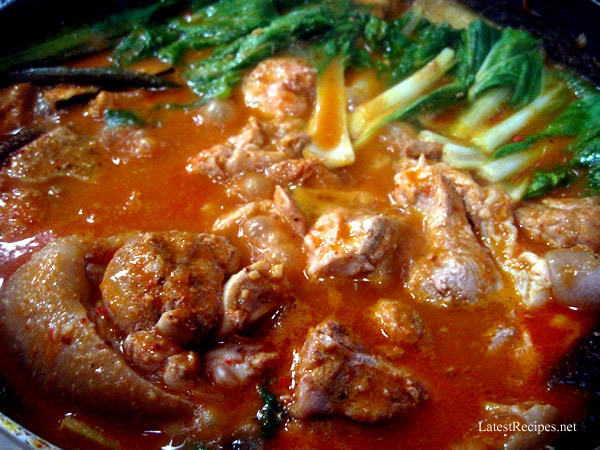 We had once tasted a chicken kare-kare with too much peanut butter in it, I couldn’t eat it-it’s just too cloying and I decided then that I don’t like kare-kare and will never eat it again.. But of course, I grew up, got married and acquired a love for cooking and eating! I had a taste of authentic kare-kare a Filipino restaurant and decided that it wasn’t bad at all, and that I like it, okay just the sauce because I still couln’t bear to eat ox tail or tripe (the tongue part). And..here it is: I used pork hock (leg part), it’s a closer alternative and it gives a more flavorful broth when you boil it than other parts of pork. Beef and chicken and fish, I’ll try them next. I used ground spicy roasted peanuts and a little only of the peanut butter to thicken the sauce because I didn’t want it to taste like peanut butter which is sometimes the case with other kare-kare that I’ve tasted. 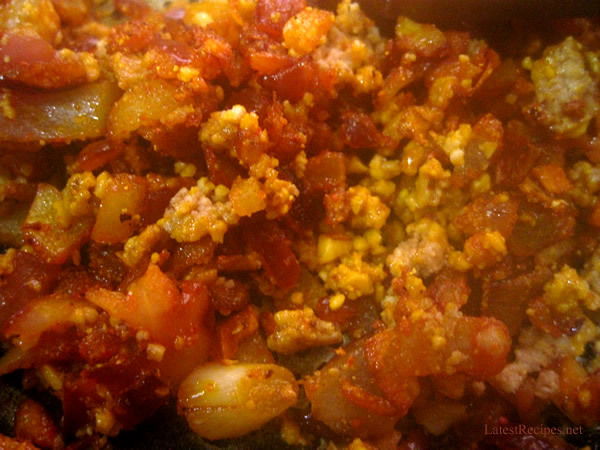 I found annatto powder in the spice section of the grocery and used it instead of the seeds. ..add peanut butter to thicken the sauce, season with salt and pepper to taste and add bok choy (pechay), simmer for a few more minutes then do a taste test.. 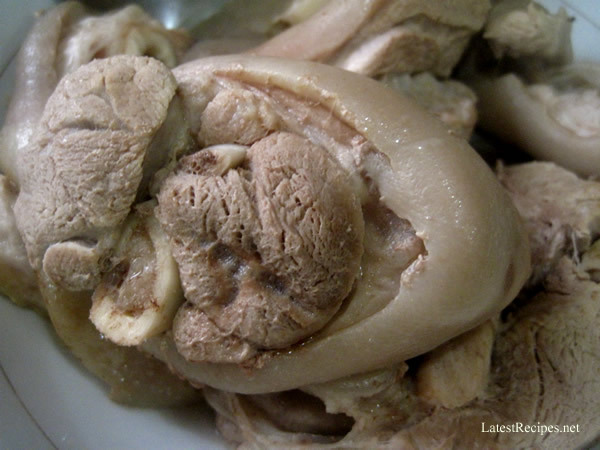 Put pork hock in a large pot and fill it with water until level with the pork. Bring to boil over medium high heat until pork is tender. Take pork hock out and reserve the broth. Add pork broth, about 3 cups, season with fish sauce, bring to a boil then add cooked pork hock. 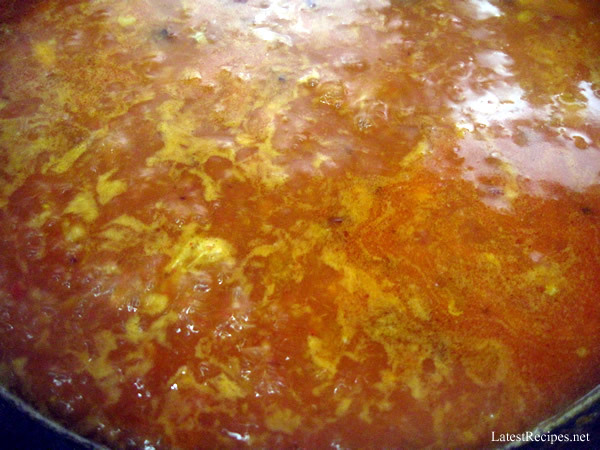 Cover and let simmer for about 10 minutes. 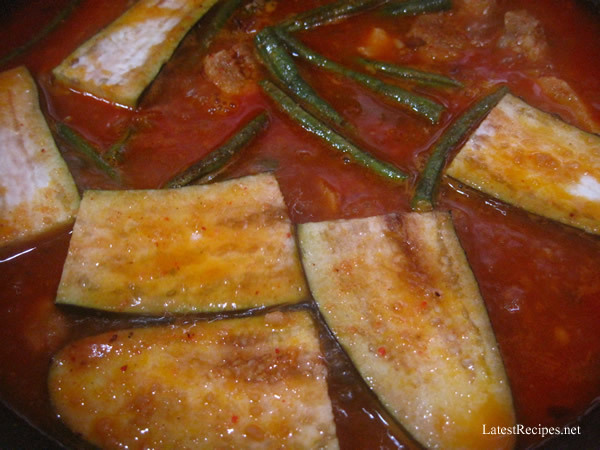 Add peanut butter and stir, adjust consistency to your liking; add string beans and eggplant. Cover again and cook for about 3 minutes, then add bok choy, cover and let simmer for just a minute. Taste and adjust seasoning if necessary. Serve with rice and sauteed bagoong on the side.